to measure resonance frequency (antennas, filters, Pi-greek in an amplifier ecc. ), capacitance and inductance, length of coaxial cable, "Q" of coil, to build traps for beams, to use as RF signal generator, as QRPp transmiter (not very stable but...) ecc. It's so called because originally there was a tube as C-class oscillator with a milli-amperometer in the grid circuit; an LC circuit, if resonant at the same frequency of C-oscillator, absorbs RF from this, making a dip in the grid current that is indicated on the milli-amperometer. With the time bipolar transistor replaced tubes as oscillator; RF generated by transistor is rectified by a germanium-diode and shown on the meter. The name grid dip meter became simply dip meter or dipper. 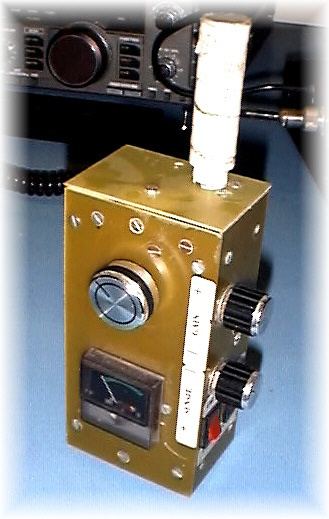 Fet was first solid-device similar to the tube (infact you can replace a tube with a fet only adjusting voltage); dipper was called gate dip meter because the gate of a fet is similar to a grid in a tube. Mosfet was better then fet on high frequency; usually the second gate is used to adjust oscillation level. There are also dipper built with other device (as tunnel diode).